It can seem impossible to keep abreast of the next big thing, especially when it comes to technology. It seems like each week, there is a new must-know technological term that everyone else is talking about while you nod along and pretend to understand. What’s worse, when you finally do get the courage to ask, “What does that mean?”, you are met with a plethora of responses that can be summed up as follows: They have no real idea what they are talking about, either! Enter Industry 4.0, the most recent addition to the expanding technological encyclopedia. While the idea is not as tough to comprehend as cryptocurrency, it can be confusing if you do not have the right frame of reference. Once we have this basic understanding, we can move on to specifics like the Four Design Principles. First things first, let’s start with the definition: Industry 4.0 is the name for the current trend of automation and data exchange in manufacturing technologies. We all understand completely now right, no questions? Of course not! Chances are this definition only creates more questions for the truly curious mind. But fear not inquisitive one, you are in good hands. Let’s see if we can simplify. Industry 4.0 is the term used to describe the increasing connectivity of the various elements that make up the manufacturing process. We will explore some of these specific elements, including cyber-physical systems, the Internet of Things (IoT), cloud computing, and cognitive computing (artificial intelligence), further down or in upcoming articles. For now, the important thing to understand is that each of these innovations has increased machines’ ability to communicate, both with each other and with their human counterparts. The concept of Industry 4.0 seeks to leverage this increased communication in order to streamline processes and maximize operational efficiency. And what does this idea look like in practice? Ideally, Industry 4.0 is used as the foundational principle for creating a "smart factory". These “smart factories” feature a modular structure and incorporate cyber-physical systems, which use computer-based algorithms for monitoring physical processes. These cyber-physical systems create a virtual copy of the physical world and make decentralized decisions. Over the Internet of Things (IoT), which will be the subject of its upcoming article, cyber-physical systems communicate and cooperate with each other and with humans in real-time both internally and across organizational departments. Technical Assistance: First, the ability of assistance systems to support humans by aggregating and visualizing information comprehensively to make informed decisions and solve urgent problems on short notice. Second, the ability of cyber physical systems to physically support humans by conducting a range of tasks that are unpleasant, too exhausting, or unsafe for their human co-workers. Information Transparency: The ability of information systems to create a virtual copy of the physical world by enriching digital plant models with sensor data. This requires the aggregation of raw sensor data to higher-value contextual information. Decentralized Decisions: The ability of cyber-physical systems to make decisions on their own and to perform their tasks as autonomously as possible. Only in the case of exceptions, interferences, or conflicting goals, are tasks delegated to a higher level. Take a deep Breath, we are here to translate. With the technical definitions out of the way, let’s explore what these principles look like in application. It starts when the machinist walks up to the warehouse’s AutoCrib, Inc. Smart Vending Machine or Smart Locker system. The employee scans their RFID Badge, and all the pertinent situational information is accurately and immediately understood by the inventory and asset management system. The system identifies and validates the employee by accessing a Human Resource Database, then references their profile to determine what assignment or job duty they have been assigned. Textbook Interoperability. With the employee and assignment identified, the Industrial Vending System uses custom parameters to distribute the exact inventory assets required for that employee’s daily duties. This includes durable specialized tools, consumables like blades and fasteners, calibrated objects like gauges, and even larger accessories such as Personal Protection Equipment (PPE) stored in a Smart Locker. This smart system also considers First-In-First-Out (FIFO) practices and tracks calibration where applicable. In addition to providing Technical Assistance by acting in place of a Crib Manager dispensing equipment, the interactive touchscreen also offers the user access to any important product information and specifications. All of the information generated from this interaction is instantaneously recorded and shared with all relevant systems. Inventory levels are automatically adjusted, and a notification is sent to Purchasing and Supply Chain employees. Special alerts are generated when inventory for an item reaches critical levels and a purchase order is automatically generated. Leads, Managers, and Supervisors are sent reports to monitor spikes in usage, critical inventory being used, and items in need of recalibration. This Information Transparency is critical to the success of a smart factory. Finally, the employee is getting ready to head home for the day. Before leaving the warehouse, they stop by the Smart Vending Machine. With another swipe of their RFID Badge, the system knows what inventory is supposed to be returned. It collects the durable tool, which is now ready for use by the next employee. The system also recognizes that the gauge returned has reached its maximum cycle and a notification is generated, at which point the gauge is locked out from usage until it has been removed and recalibrated. This is the epitome of Decentralized Decisions and toolcrib automation, using real-time data and unbiased judgment to maximize operational efficiency. Hopefully this has given you a clearer idea of what Industry 4.0 is, what it looks like in application, and even how to identify areas of potential improvement. To help expand your understanding of this topic, AutoCrib, Inc. will be publishing a series of articles on the underlying concepts that have made Industry 4.0 a possibility. Later this year, we will also be introducing Arcturus (AutoCrib.net 4.0), the most comprehensive .net software application for Inventory and Asset Management for the industrial sector and beyond. Over the past two decades AutoCrib, Inc. has established themselves as a pioneer in the cyber-physical systems industry and continues to build upon and make advancements in Inventory and Asset Management software. 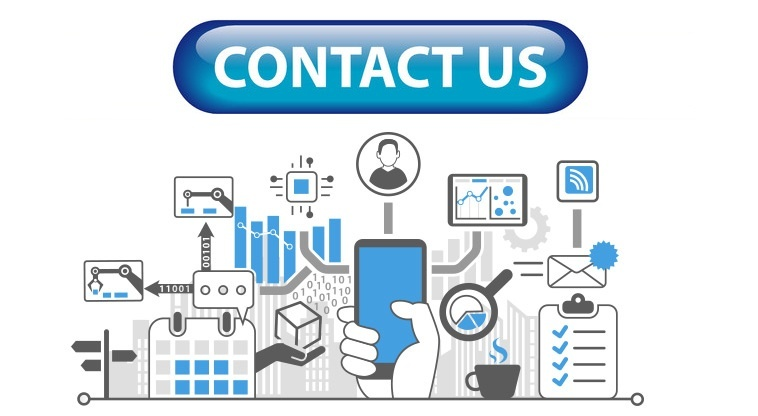 Please contact us or visit our website at www.autocrib.com for more information on how we can help you with your Industry 4.0 or smart factory requirements.